StockBase POS Download is a free pc program for the commercial management of your company, for billing and stock control of goods, completely free for pc and very simple to use. Make these works in your business easier with this great free pc program. 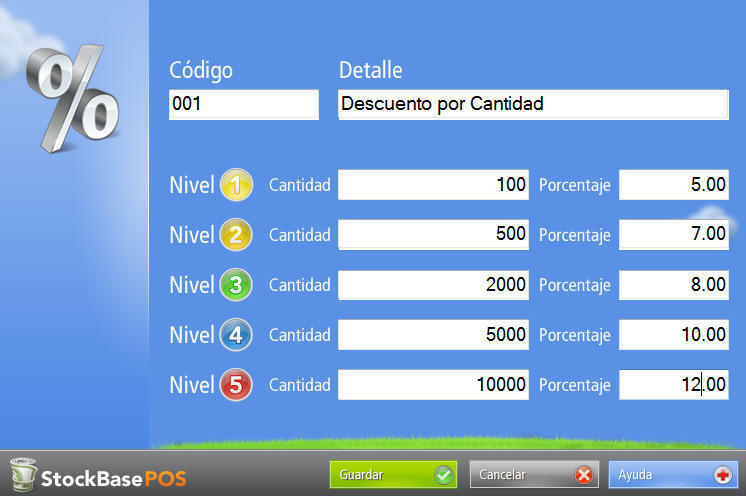 StockBase POS is a complete program of management of your company , very simple and free for your pc . With only one window you have everything you need to manage your business successfully and easily, has a database of articles, customers, suppliers, vendors, inventory and box, reports, statistics and everything necessary for a complete management of our company. StockBase POS has a nice and intuitive layout with tabs to separate each task. It also has a configuration assistant, although the help manual can be found online.